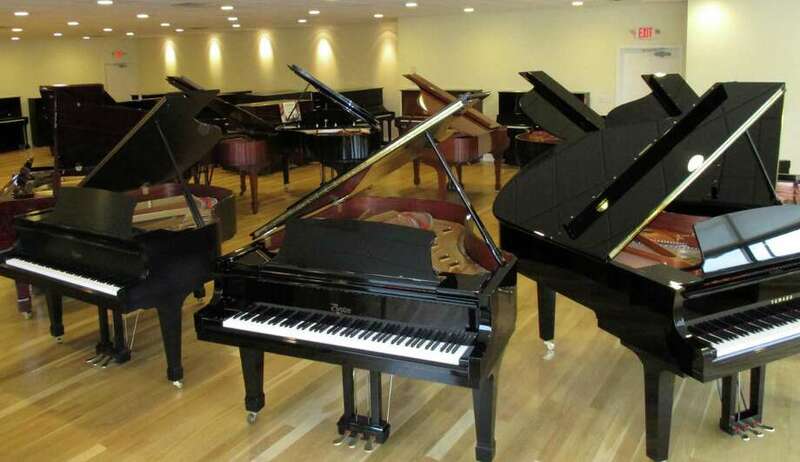 A new piano showroom has opened on lower Black Rock Turnpike, offering new and used pianos from a variety of manufacturers and in a wide price range. Faust Harrison Pianos opened its 6,000-square-foot showroom in late October at 322 Black Rock Turnpike, near the Commerce Drive intersection. The building formerly housed Fry's Piano and Organ. The showroom has 85 instruments on display, Faust Harrison said, including traditional grand and vertical pianos, plus the latest digital designs. Prices range from about $3,000 to $180,000. The store's new-piano brands include Yamaha, Bechstein, Hoffmann, Brodmann and Mason Hamlin. The current stock of used pianos includes fully restored Steinway & Sons concert grands, plus models by Yamaha, Bluthner, Estonia and Boston, a spokeswoman said. The showroom expects to add more used instruments by other manufacturers. The Fairfield showroom is the fourth for White Plains, N.Y.-based Faust Harrison. Other outlets are in White Plains, New York City and Huntington, Long Island, the company said. Faust Harrison said it was a marketing advantage to occupy a Fairfield building that previously housed a piano store. The two-floor Fairfield location includes a recital area and a special room for the Yamaha Disklavier reproducing piano and related technology, Faust Harrison said in a news release. The Disklavier piano can digitally record and then play back performances "with each note and the smallest pedal movement delivered precisely as the pianist originally recorded it," according to the release. The technology offers myriad opportunities in performance and remote music education, Faust Harrison said. The piano center's staff includes a full-time sales manager and an administrator. The sales manager, Erica vanderLinde Feidner, is a former concert pianist who has more than two decades of experience in piano sales, Faust Harrison said. The company plans to sponsor performances and other artistic events at the center, including art installations, according to the release. Faust Harrison Pianos, 322 Black Rock Turnpike. Hours: Tuesday through Saturday, 10 a.m. to 6 p.m.; closed Sundays and Mondays. Phone: 203-333-8400. Web: www.faustharrisonpianos.com.